Bring back the sparkle and shine to your jewellery with a selection of beautifully packaged jewellery cleaning products all with free delivery. Lox earring backs are ideal replacement earring backs, offering complete security for most earring styles. Each pack includes two pairs of easy-to-use earring backs fitting to most earring posts. Shown in Gold tone, they are also available on our alternative product page in silver tone. All Lox earring backs are sent fully insured by secure signed-for-delivery included within the price. 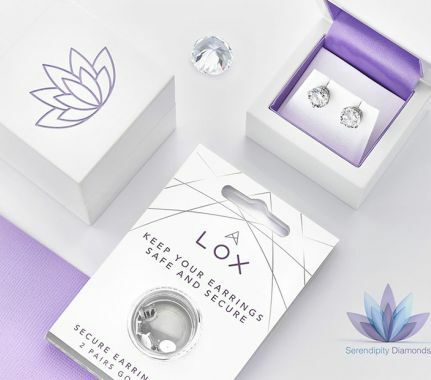 Lox secure earring backs provide the necessary peace of mind when purchasing earrings. Each pack includes two pairs of easy-to-use earring backs fitting to most earring posts. 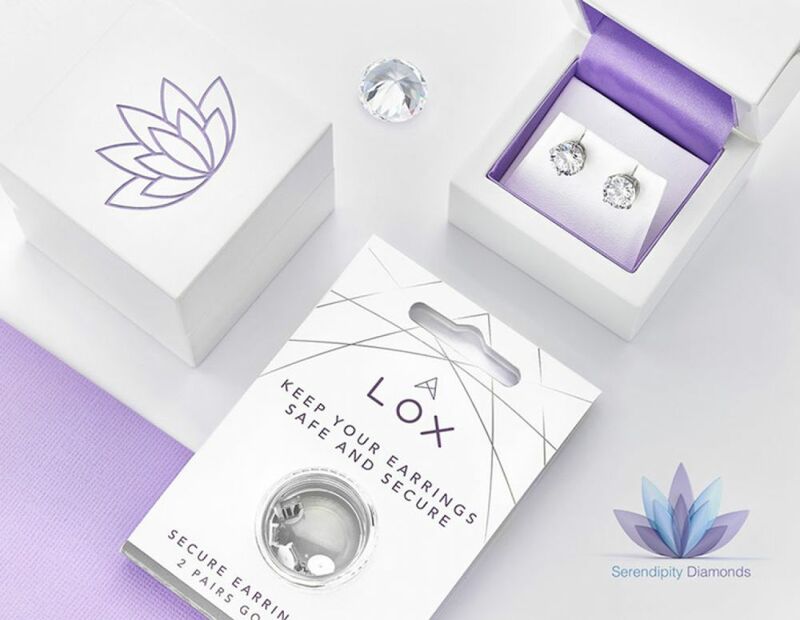 Lox secure earring backs are available in silver tone, or see our alternative gold tone. All Lox earring backs are sent fully insured by secure signed-for-delivery included within the price. Add sparkle to your diamond engagement ring with innovative the Diamond Dazzle Stik jewellery cleaning brush. Just open, twist, brush and dazzle. (In stock) Dazzle stik contains micro cleansing agents that bring back radiance and shine to diamonds. Simply twist, brush and dazzle. Extra value jewellery care cleaning bundle comprising a Dazzlestik, jewellery care wipes, and two large double gold and silver polishing cloths.